Catherine Hernandez is a Canadian writer, author and playwright. In her debut novel, Scarborough, Hernandez tells the multi-voiced story of a neighbourhood that refuses to fall apart in the face of poverty and crime. 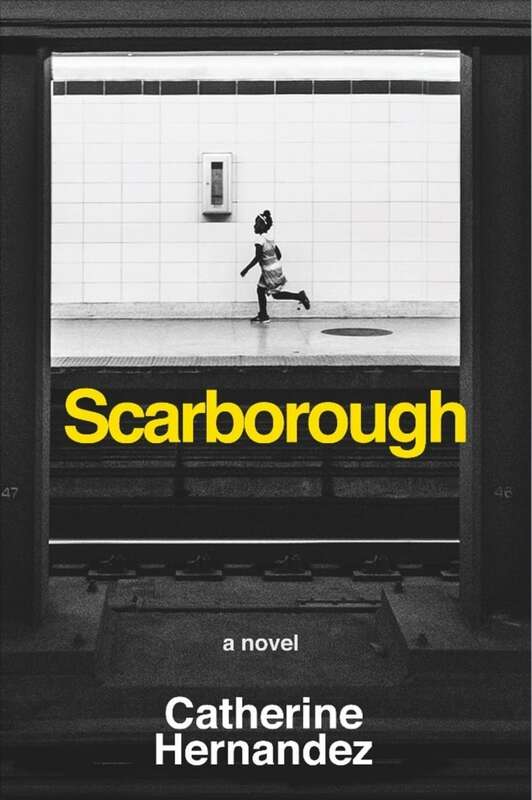 Weaving together the stories of three children growing up in difficult circumstances with the stories of three adults who are doing their best to help them out, Scarborough is a vibrant debut and that was on the longlist for Canada Reads 2018. The novel was also a shortlisted finalist for the 2017 Toronto Book Award, the 2018 Trillium Book Award and the 2018 Edmund White Award for debut fiction. "I believe that anti-oppression and decolonization have to actually be the beginning of learning in order to be an artist. This is because of the structures that are given to us by white supremacy. It's really important for us to shake the yoke of that first, in order for us to have our true selves come forward. This kind of liberation is intertwined between our lives as racialized folks. "If we were to adopt that sort of decolonized language it means that we're giving us all a chance to be able to really connect to what the universe has to tell us. Liberation should be a priority for us all. It's amazing what work comes forward when we can remove those structures. It's exciting to me — in racialized cultures we would say it's like our ancestors are speaking to us and telling us how to communicate to the people around us in this particular physical realm." I do not care about art from people who are racist. I just don't. "I have to remember that these increments of measurement about success are from a very particular structure that is not of my culture. I have to remember that I need to centre story and truth first; I shouldn't centre prize winning. I have to keep on dedicating my sense of success to people who see themselves in reading my books and feel like they finally have a voice." "I feel like I'm in this parallel universe because I was a playwright first. [Writing fiction], the reach of your work is so much wider. It's so weird as to be going on the train and seeing somebody actually reading my book! That is still boggling my mind." CBC Books' Why I Write series features authors speaking on what literature means to them. Shot on location at Toronto's Harbourfront Centre during the 2018 Canadian Writers' Summit.